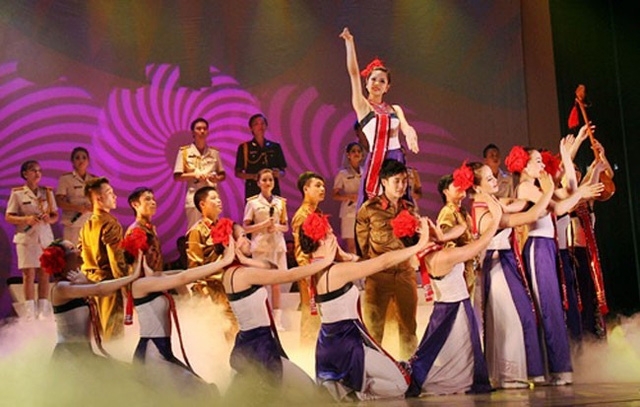 This year’s National Dance and Music Festival is scheduled for the northern province of Cao Bang from June 29 to July 7. In its first stage, the event features 12 art troupes from the northern localities, including Dien Bien, Son La, Lao Cai, Yen Bai, Tuyen Quang, Cao Bang, Bac Kan, Thai Nguyen, Vinh Phuc, Thanh Hoa and Hai Phong, as well as the Viet Bac Folk Dance and Music Delegation. The festival is organized at Cao Bang Convention Center, with the opening night featuring a special gala, which will be broadcast live on Vietnam Television. Performances at the festival feature a clear theme and content, focusing on reflections of the cultural identity of ethnic groups in each region, as well as showing the richness and diversity of art. Each unit can only perform one program with a duration of 80-110 minutes. The event aims to create favorable conditions for artists to perform and exchange in order to enhance their professionalism and improve their operation to meet the demands of contemporary society. The festival will also honor collectives and individuals with significant contributions to the Vietnamese performing arts. During the festival, the Organizing Committee will send three groups to perform for local people in the districts of Trung Khanh and Ha Quang and Cao Bang city in the host province.